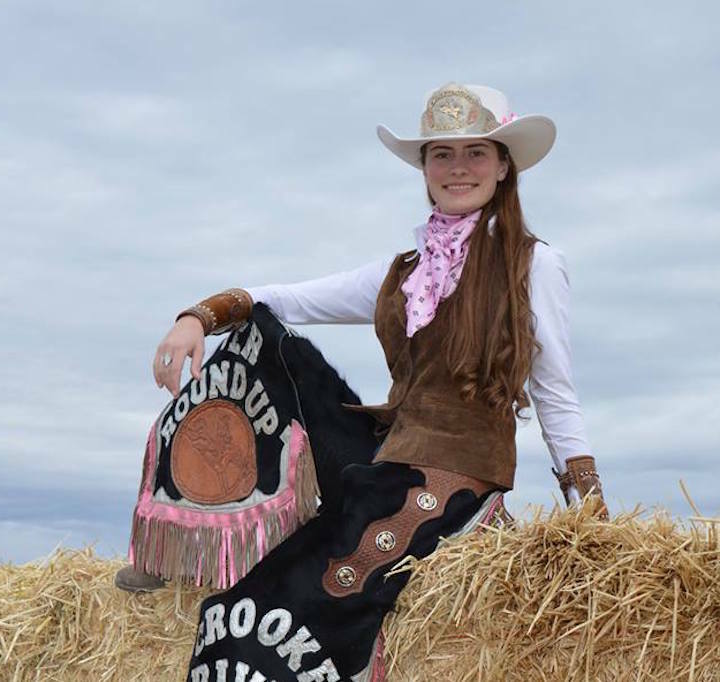 The prospect of a 108-degree rodeo weekend doesn’t daunt 2015 Crooked River Roundup Rodeo Queen Randi Johnson. “I’m from Burns, so I’m used to the desert – and I have a big hat,” she says. Johnson, who recently turned 20 years old, has been riding horses since the day her parents brought her home from the hospital, she says, and competing in rodeo pageantry since age 12. Johnson will act as the Crooked River Roundup’s representative and host for the upcoming rodeo weekend June 26-28. She’ll also be in attendance at the Stahancyk, Kent & Hook rodeo party, which hosts the Crooked River Roundup princesses, and welcomes guests to Prineville. Last year, she signed autographs for fans at the party. “I thought the party was a great way to introduce people to the rodeo,” Johnson said. Guests can expect to see some of the greatest cowboys in the business, including Tuf Cooper and Trevor Brazile. Johnson, whose reign began January 1, 2015, will represent Crook County on the rodeo circuit across Oregon. Her past titles include those with the California Nevada Junior Rodeo Association, the Intermountain Junior Rodeo Association, Modoc County Beef Princess, Modoc County Fair Queen, and Harney County Fair Queen. Johnson is currently planning her outfits – eight over five days – and working with her horses, Radar and Blueberry.